An open club face will almost always cause a slice. All slices are not created equal. There are many reasons why your ball ends up to the right, and before you fix the problem, you have to determine the cause. According to Golf.com, a 1 1/2-degree variation in your club face alignment can translate into a ball that lands 70 feet to the right of the target. Fortunately, remedies exist for even the most pronounced slices. You can even buy golf clubs designed to alleviate the problem. The next time you end up in the woods to the right of the pin, pay attention to the trajectory of the ball. If your ball flies straight and then curves to the right, your club face may be open at impact, forcing the ball off course. On the other hand, if the ball starts to the left and then curves right, you have a “pull” slice and your swing path could be outside-in. If the ball starts off to the right and ends up even farther to the right, you may have a “push” slice with an inside-out swing. In all cases, your club face is open, not square, when you hit the ball, causing the ball to fly right. With the common over-the-top or outside-in slice, the path of your club from the top of the backswing to impact is causing the ball to land right. Over-rotating your shoulders or stopping the downswing rotation too soon can cause this. A drill that can correct this swing flaw is to drop your right foot back about 10 inches when you hit the ball, forcing you to swing in to out. This exaggerated feeling can be adapted to your normal swing with your feet in the regular position. Check your position at impact so your shoulders are above your knees, and your knees are above your feet. Shift your weight smoothly to your left foot on the downswing. Try to incorporate some of the tips for correcting a slice, and see which ones work for you. Your grip should have a light pressure to produce the even tempo required to hit the ball with the club face square. The club should lie across your fingers from just below the second joint of your forefinger to the base of your pinkie, not in the palm of your hand. Tension in your arms, shoulders and hands will throw off your swing. Try exercising to increase your core strength so you will be able to lead the downswing with your lower body, not your shoulders and arms. Keep the club in the middle of your sternum when you swing. This is sometimes called keeping the club in front. 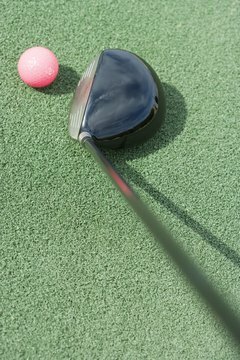 If you are still having trouble with your slice, try golf clubs that lessen the effects of your swing by shortening the shaft, adding offset and changing the loft angle.